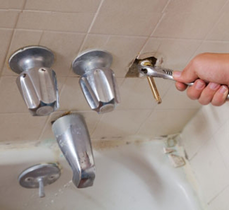 If there is anywhere to cut corners in home repairs and improvements, it isn't the bathroom. The bathroom is one of the most important rooms in a house and it's the one room that everyone in the home uses regularly. From a leaky drain or clogged toilet to the need for new fixtures, My Handyman OnDemand has the expertise to get the job done. We offer full services for bathroom remodels and bathroom repairs. If any bathroom remodel or repair project is more than you feel comfortable tackling, My Handyman OnDemand is happy and eager to help. Our technicians will do a professional job, sticking to a strict project timeline, cleaning up any mess involved, and leaving your home improved and ready for your enjoyment.